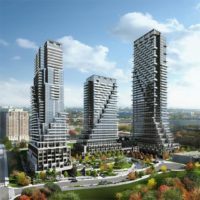 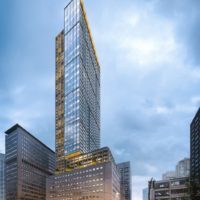 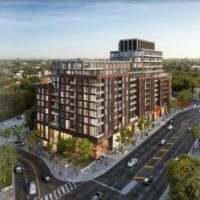 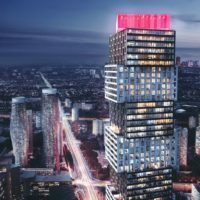 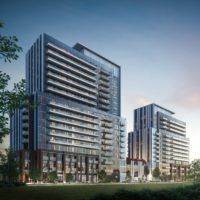 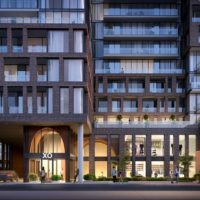 Encore Theatre District Condos is a new condominium development by Plaza currently in pre-construction located at 28 Widmer Street, Toronto in the Entertainment District neighbourhood with a 100/100 walk score and a 100/100 transit score. 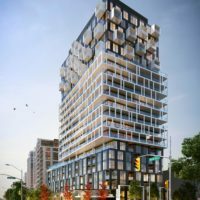 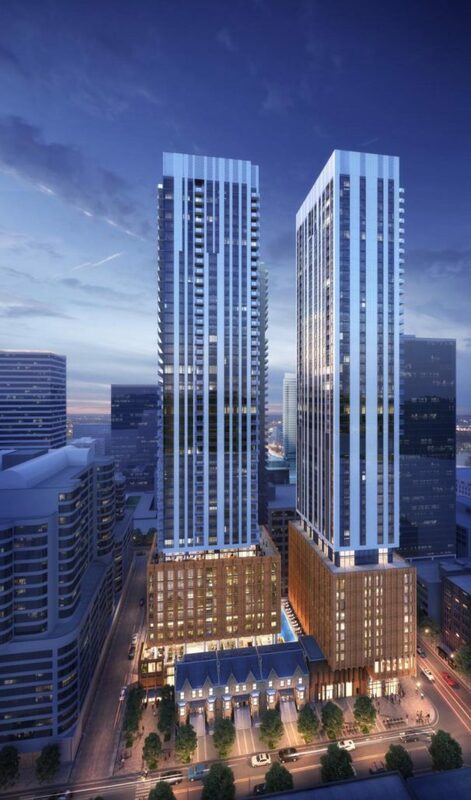 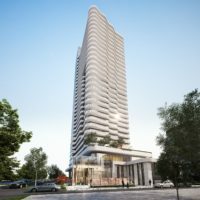 Encore Theatre District Condos is designed by Quadrangle Architects Ltd. Development is scheduled to be completed in 2022. 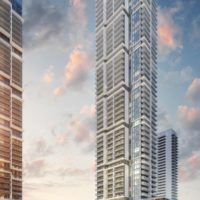 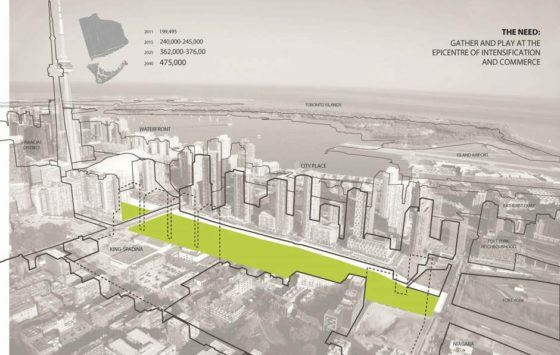 The project is 49 storeys tall and has a total of 180 suites ranging from 509 sq.ft to 1262 sq.ft. 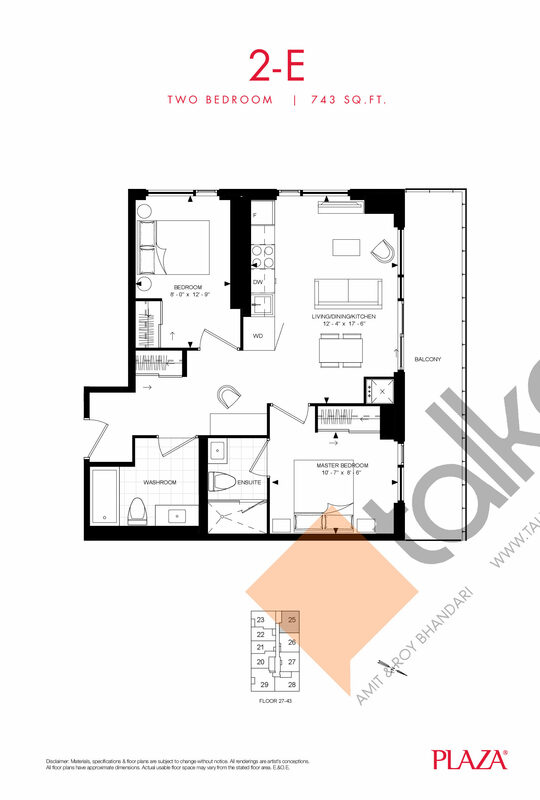 Suites are priced from $616,000 to $1,776,000. 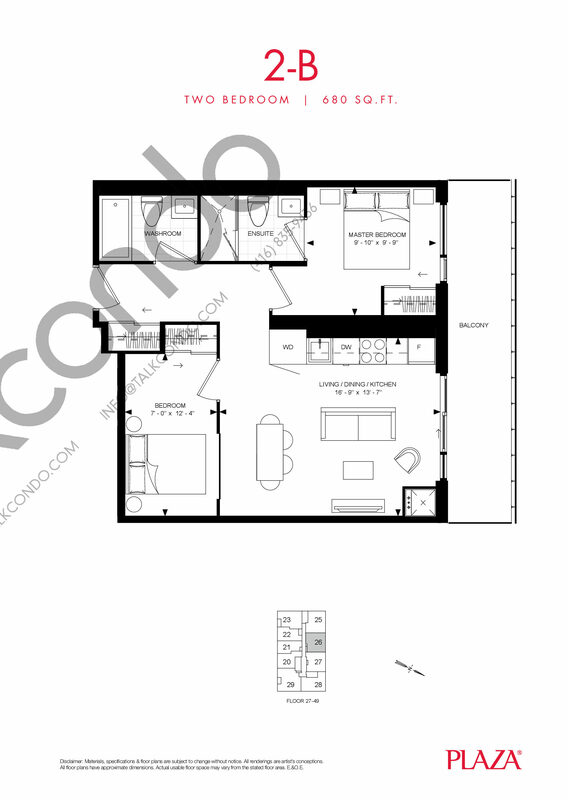 1.5 Bed 1 Bath 535 sq.ft. 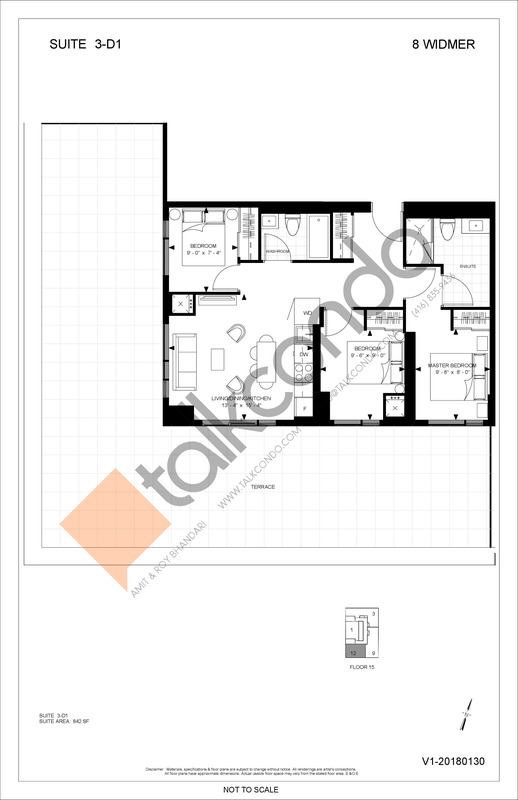 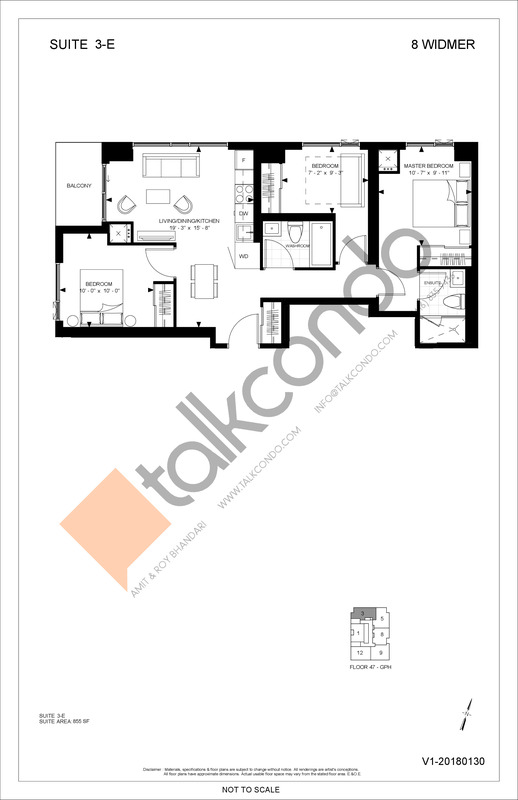 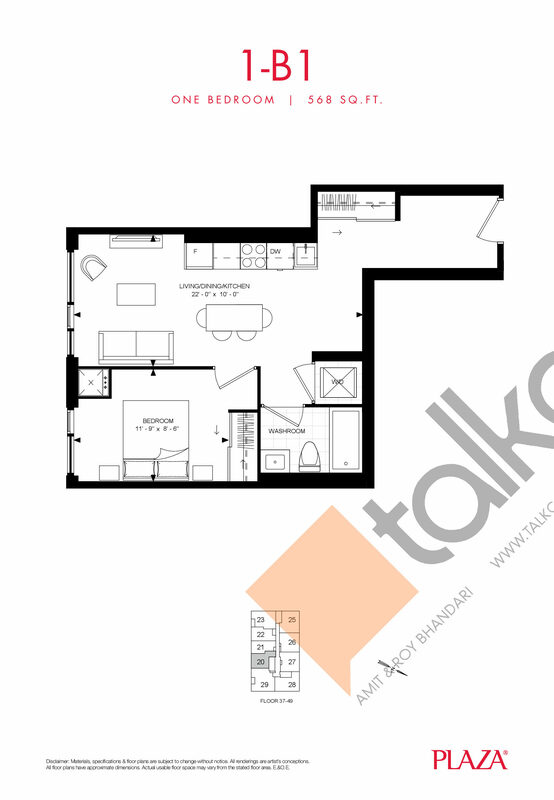 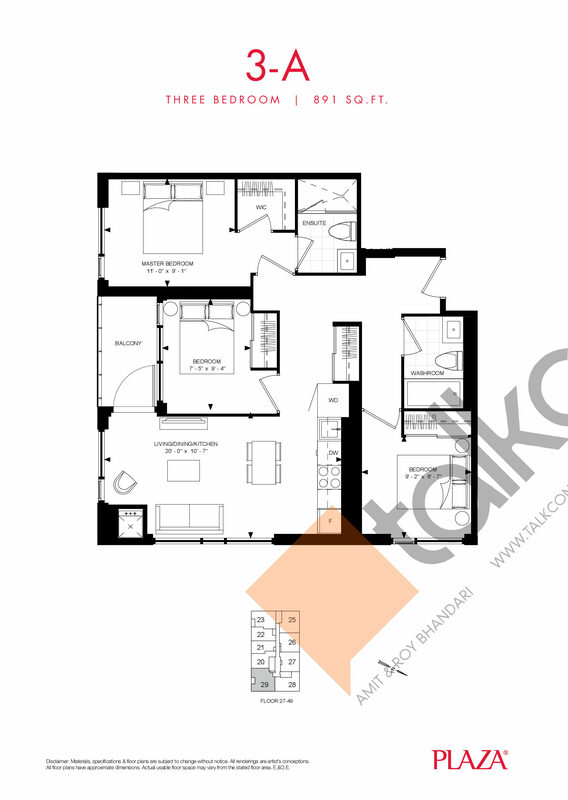 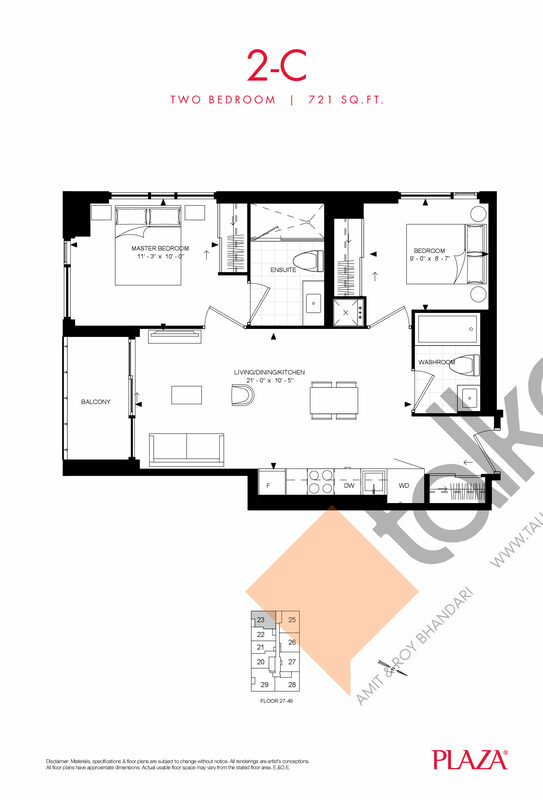 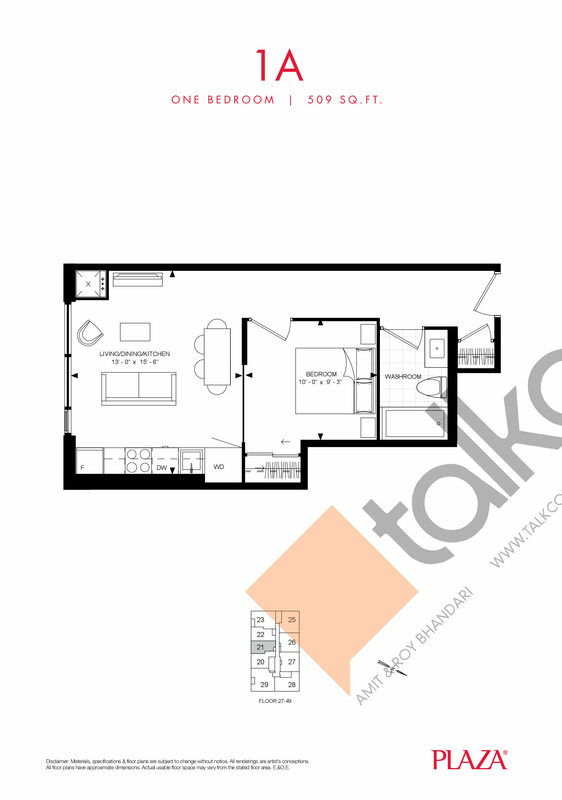 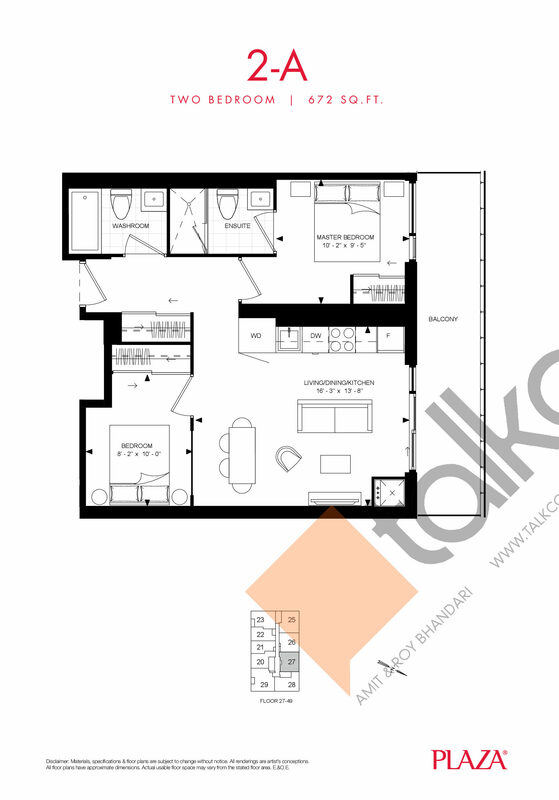 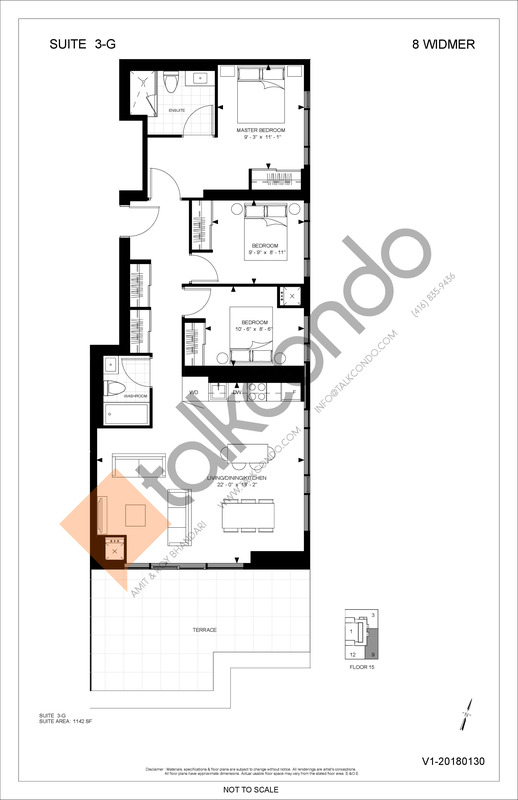 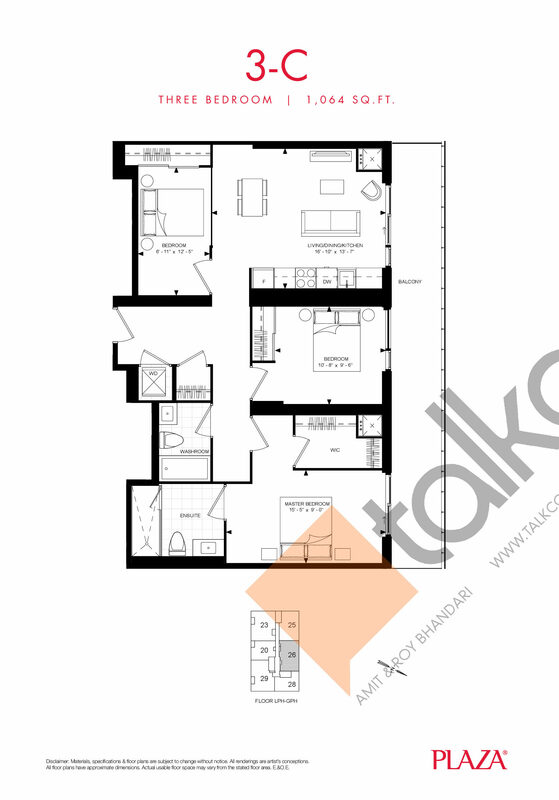 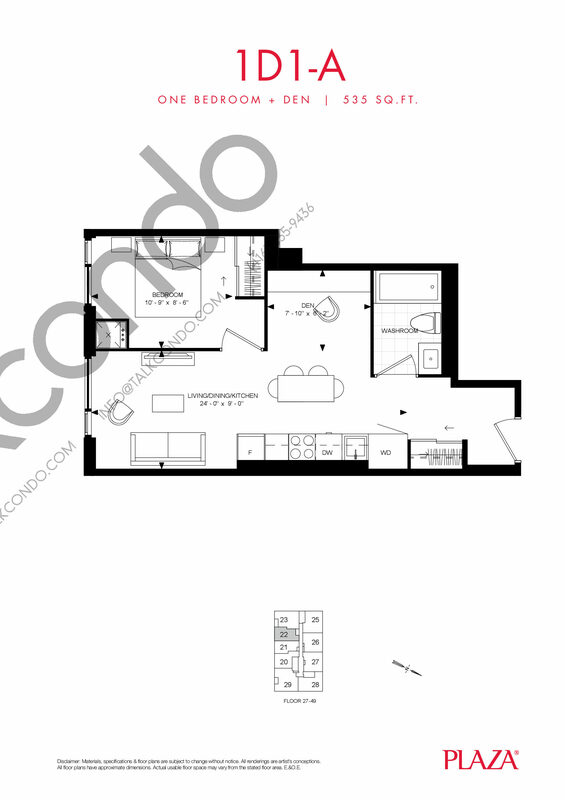 2 Bed 2 Bath 672 sq.ft. 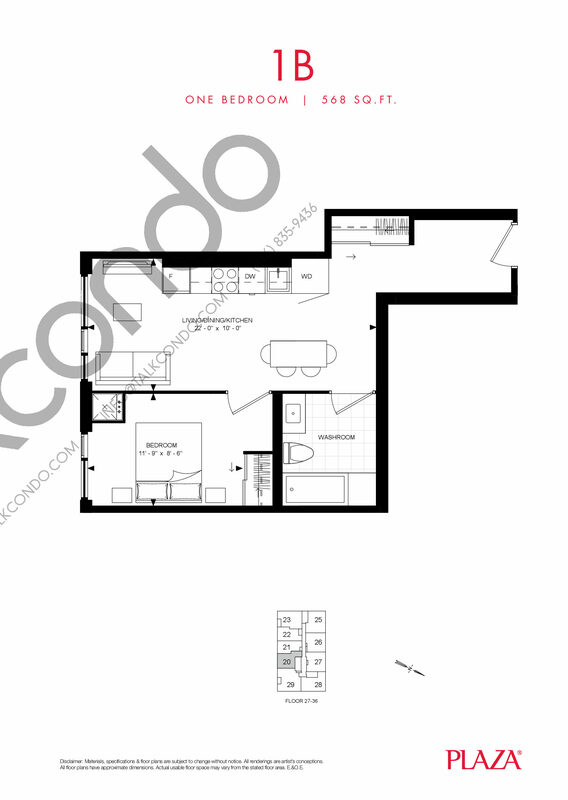 3 Bed 2 Bath 891 sq.ft. 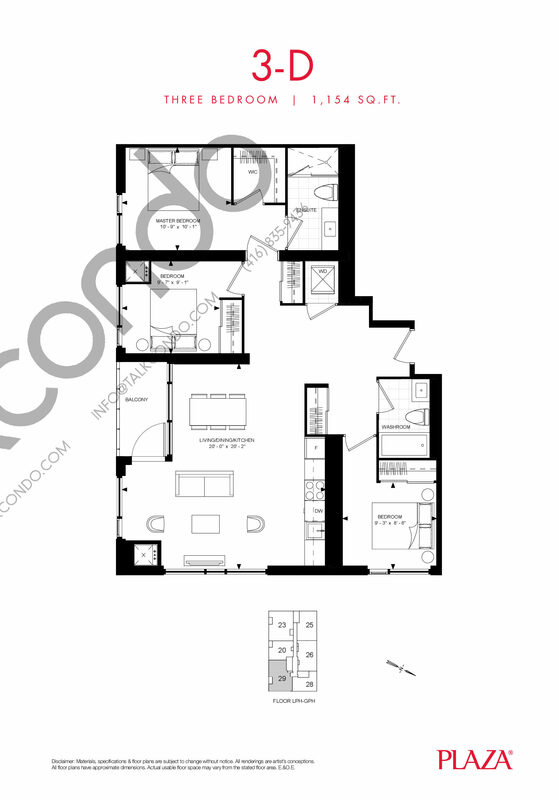 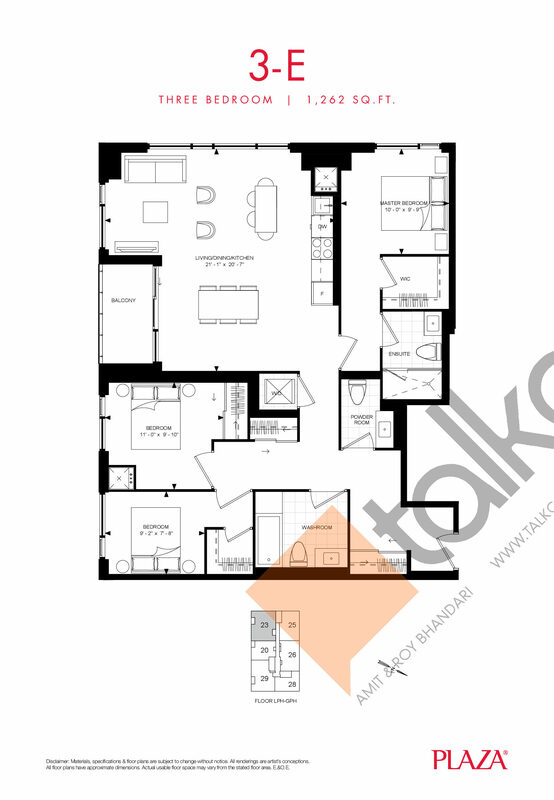 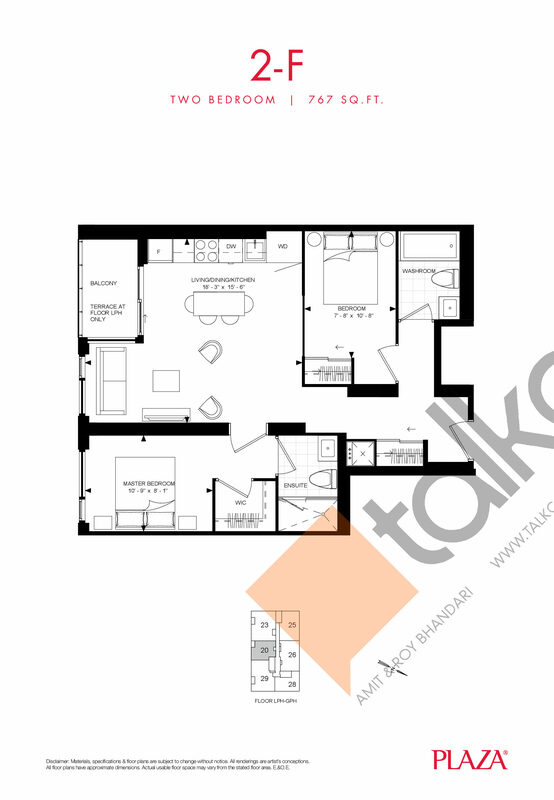 3 Bed 2 Bath 1031 sq.ft. 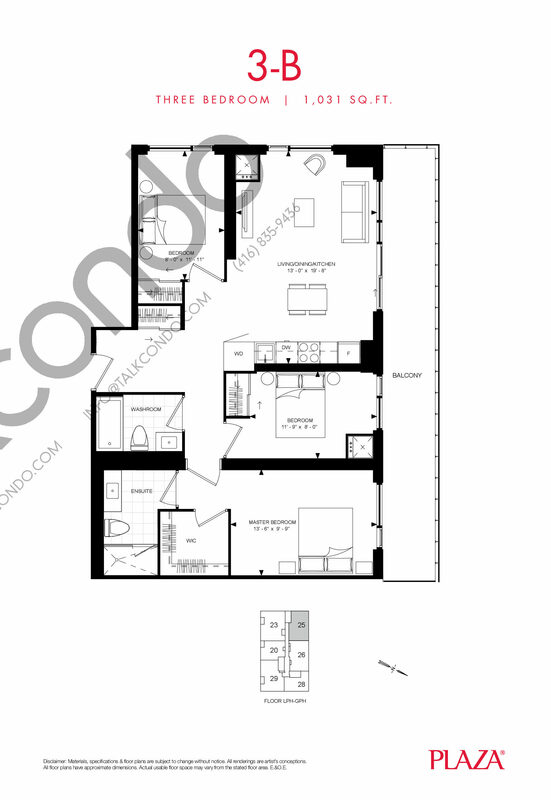 3 Bed 2 Bath 1064 sq.ft. 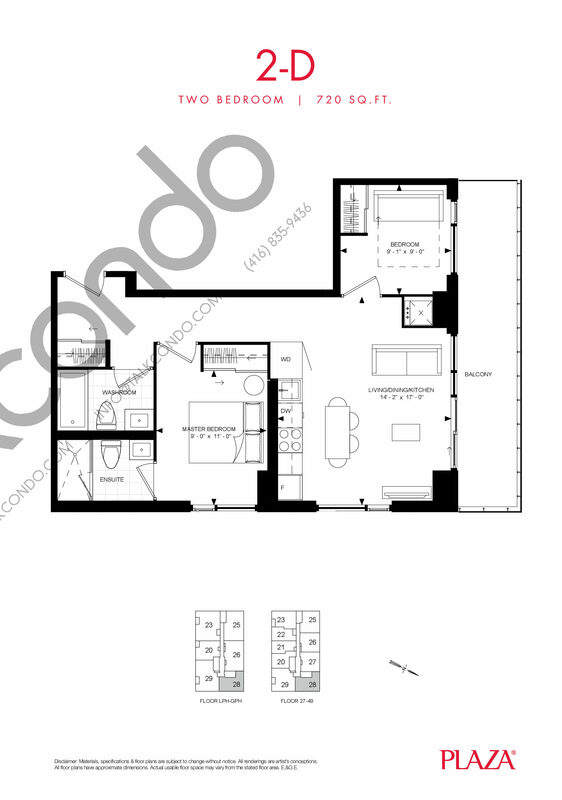 3 Bed 2 Bath 1154 sq.ft. 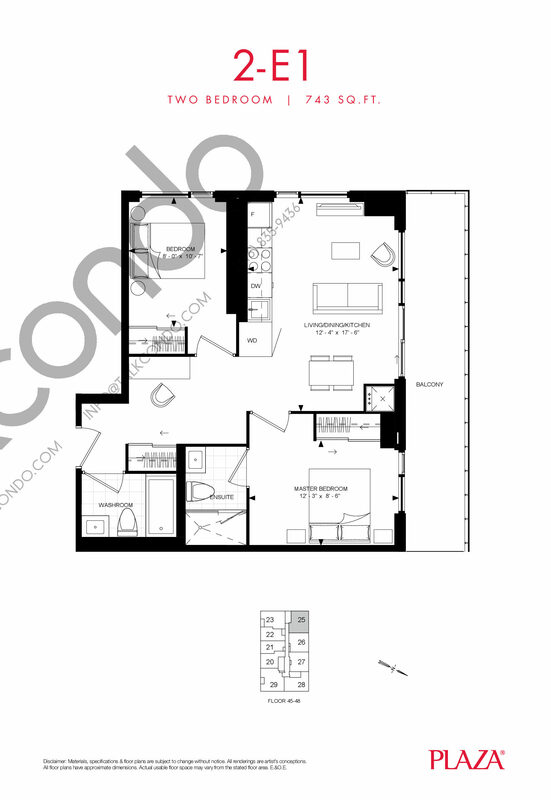 3 Bed 2.5 Bath 1262 sq.ft.